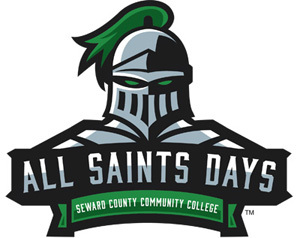 Seward County Community College will welcome its 50th group of incoming students in August, and the first of those soon-to-be Saints will arrive on campus for All Saints Day April 6. It’s the first of five sessions for All Saints Days 2019: Making History Right at Home. Admissions director Bert Luallen noted that many of the participants are familiar faces. College President Dr. Ken Trzaska said the events provide a framework for relationship-building. On a practical note, Hackbarth-Onson said, the day covers important steps to that first semester. Sessions for parents provide another facet of preparation, as families experience the transition to college collectively. All Saints Day: Making History Right at Home includes a complimentary lunch for students and their families, an opportunity to explore the student union and time to learn about student clubs and organizations. The Saints Bookstore will offer extended hours from 1 to 3 p.m. April 6.